Spring is right around the corner and with it comes spring cleaning, home repairs, and modifications. Maybe you are renovating your home, putting on an addition or an investment property. 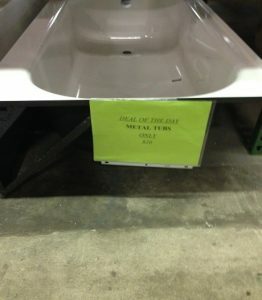 If that is the case, our deal of the week includes metal tubs for $20 each. 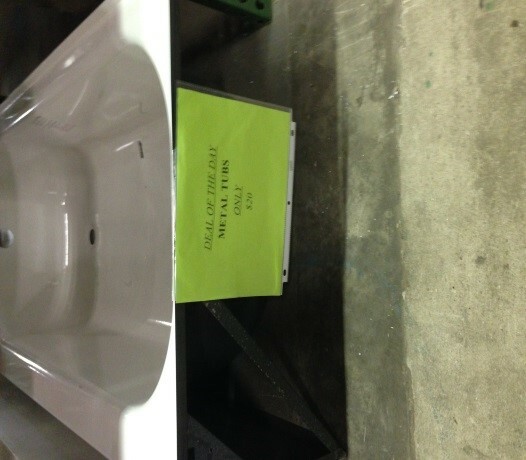 These are basic 5ft metal tubs available with right or left hand drains. These are brand new tubs! Ready to enjoy the spring weather and spend time outside with the family. Imagine gathering around the ReStore item of the week, a 7-piece patio set. This week the ReStore we will continue to have 10% off every day (excluding sale items). 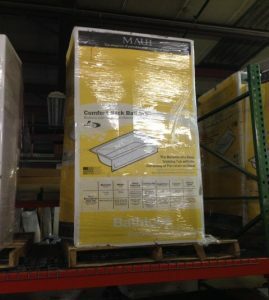 Often our customers ask why Habitat for Humanity has the ReStore and where does the money go from the sale of these items? Habitat ReStores are a way for Habitat affiliates, just like this one in Madison County, to raise money to cover our operation cost and to support programs to serve our community. While supporting the Habitat ReStore, you also make it possible for the affiliate to build more homes, provide financial literacy and homeownership education to those in our community in need. Furthermore, your donations to the ReStore of gently used building material, furniture, appliances and other items help reduce the amount of materials in our landfills! We take pride in being able to provide these services and we appreciate each and every one of our customers and volunteers. 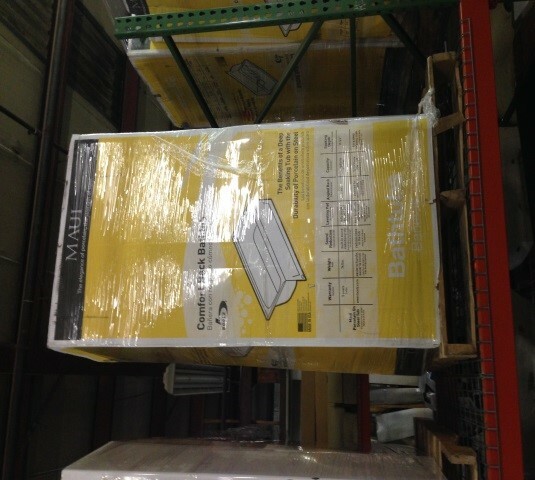 For more information about the Habitat ReStore, please visit our ReStore page or on Facebook. To schedule a pick-up please call the ReStore at 256-533-3267. If you are interested in making a financial donation to Habitat for Humanity of Madison County, please click here!